Over the past five years we have made significant investments in our plant, machinery and systems to ensure we can meet the diverse needs of our customers in the away from home washrooms, professional cleaning, healthcare, food service and industrial markets. 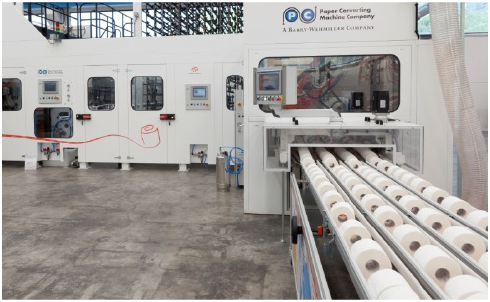 With four production lines we have the capacity to manufacture 18,000 tonnes of hygiene paper products a year that equates to over 1000 rolls a minute. We have invested heavily in two Laminated Embossed paper converting production lines. One is specific to away from home products and the other in consumer paper products. Our investments in the latest production technology allows us to manufacture ply bonded flat sheet, ply bonded embossed, laminated micro-embossed and laminated embossed in both the consumer and away from home markets. We also recognise that logistics plays an integral part in ensuring customers receive a reliable and flexible delivery service. We have invested heavily in our warehouse operation with over 100,000 sq ft of quality warehousing with the capacity to hold over 2000 pallets of finished goods ready for call off. Recently we added a new service yard spanning over 2 acres to support 8 loading bays this is to ensure that we can hold and load several lorries and vans at one time enabling goods to be loaded and dispatched more efficiently. Star Tissue employees are at the forefront of our ambition to deliver the best possible quality and service to our customers. Our transformation means increased investment in training and equipment, including spending on new processes in order to make them safer and less laborious. Star Tissue UK has been established since 2003 and it has grown year on year to become one of the leading independent manufacturers of hygiene paper products. 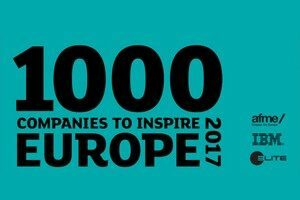 In 2016 Star Tissue featured in the London Stock Exchanges list of 1000 most dynamic and fast growing companies. Continuous investment in new production technology and systems enables us to operate efficiently ensuring we can meet the needs of our diverse range of customers. As you would expect this is supported by a reliable logistics function ensuring a flexible and prompt delivery.